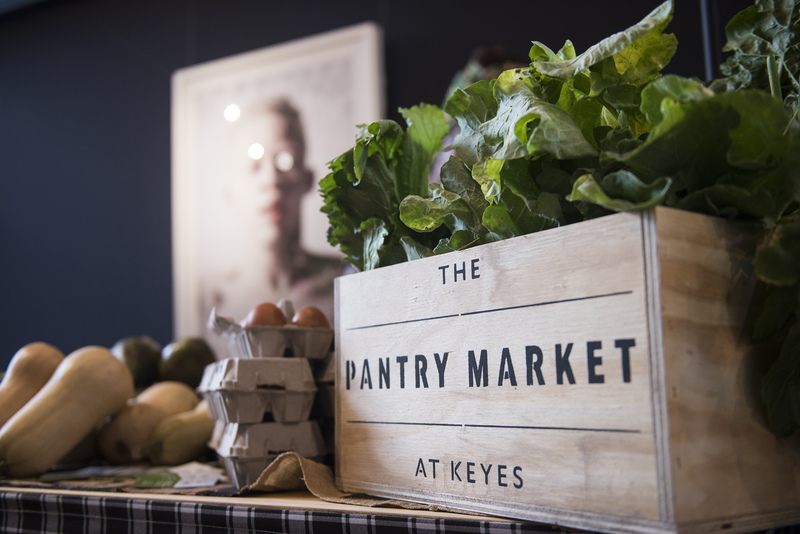 At Keyes Thursdays on 4 April 2019, visitors to Keyes Art Mile will enjoy an avenue filled with live music, delicious street food and five art exhibitions – all within a few steps of each other. The music lineup this month includes Planet Lindela, DJ Boisanza, DJ Vusi and The Flying Machine Sessions. From paella, pizza, hot dogs, sushi and burritos make up the menu, and a variety of additional artisanal vendors are selected each month to keep the offering fresh and interesting. The Union Pop Up Bar and Mix Cocktail Bar serve drinks throughout the evening, and guests can head to Afrikoa for coffee, chocolate and champagne – all perfect accompaniments to art-browsing. Keyes Thursdays will present the first of a regular pop up, kicking off with the Limited Edition Print Pop Up that showcase a collection of works from the acclaimed The Artists’ Press. It’s at street level, so visitors can browse the wide selection (prices range from R 345 to R16 500) and add to, or start, their fine art print collection. 3. The Atrium presents Vertical Presence: The Sculpture of Edoardo Villa, a showcase of four decades of the artist’s career. 4. TMRW Gallery is hosting an immersive photographic exhibition by Elsa Bleda titled Memories and Dreams. 5. Mesh Club is showcasing a solo exhibition by Gina Waldman titled Cattivo Gusto hanging throughout the space. Adding to the already beautiful Atrium is a show stopping True Design collection of Misfits and Ripple chairs designed by Ron Arad and the Saruyama Islands designed by Toshiyuki Kita. Keyes Art Mile hopes to facilitate people’s engagement with the arts, and what better way of doing so than to create a safe and beautiful space for people to make an inspiring and sociable evening of it? Keyes Thursdays takes place on the first Thursday of every month (except for January) and runs from 17h30 – 22h00. Trumpet Building on Keyes Art Mile (21 Keyes Avenue, Rosebank, Johannesburg) and flows out onto Keyes Avenue, which is specially closed off to traffic for the evening. Keyes Thursdays is a multifaceted celebration of the arts, street food adventures, pop-up and gallery spaces and live music. It is a recurring monthly event for people to gather for an evening of street-styled conviviality – surrounded by food trucks, live music and exhibitions. The evening was created as part of Keyes Art Mile’s ongoing commitment to creating a precinct that places the showcasing and support of art at its heart. How much are the tickets and where do I purchase them from? The week following each Keyes Thursdays. Can we bring our own food and drink to First Thursdays? Which shops, galleries and restaurants will be open? Thursdays. There is always an exhibition in The Atrium, so visitors can view this too.